Il nous aura fallu plus de 6 ans et une bonne cause pour enfin avoir la chance de revoir Karkwa sur scène. Rendez-vous le 23 octobre prochain au Métropolis pour le spectacle de financement duThéâtre de la Vieille Forge de Petite-Vallée . "Bringing the best in Canadian music to your ears and eyes"
The crowd cheers, then come the familiar noises of a band getting ready to play a tune. A kick of the bass drum, a strike of the hi-hat, indistinguishable murmurings, a little feedback. The crowd settles, but as the first chords of the first song sound, they go wild in recognition. Thus begins Karkwa Live, the successful Polaris Prize-winning French Canadian band’s latest output. 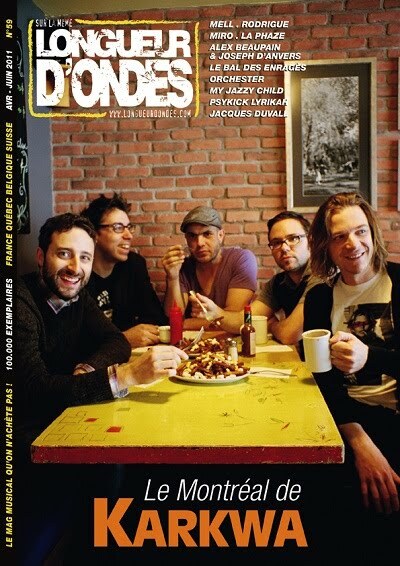 The disc is made up of 13 tracks recorded and arranged following the last two shows that the group had in the fall of 2011 at the Imperial of Quebec City and Metropolis in Montreal, and was released May 29th, 2012. We all know of those live records that make you wish you’d only ever heard studio recordings, Then there’s the mediocre records, they sound good but they’re just new versions of old songs. Finally, there’s those live records that get your heart pounding and blow your mind. It’s through these that the energy transferred between musicians and crowd is somehow captured in sound bytes, and because of these that live music was ever recorded in the first place. Some albums in this category are Simon and Garfunkel’s The Concert In Central Park, Johnny Cash’s At Folsom Prison, Nirvana’s MTV Unplugged In New York and Eric Clapton’s Unplugged and yes, Karkwa’s Karkwa Live. “Le pyromane” begins the record with a blast, just as it begins Karkwa’s Polaris Prize-winning album, Les chemins de verre. It is periodically anthemic as it weaves in and out of guitar-synth duals and piano-voice duets, which the crowd happily joins, flowing seamlessly into “Échapper au sort”, a psychedelic-influenced piece with a full sound that’s almost baffling given the nature of the recording. After some very minimal speech, “Les chemins de verre” begins, its driving beat becoming all at once the shared pulse of the band, crowd and listener. As every measure pushes on, the energy broadens until a trance-like state is achieved, just as the tranquil bridge kicks in before a relaunch into Karkwa’s signature synth rock. Following this is “Épaule froide”, which has an undeniable groove that the crowd clearly enjoys. Although not overwhelmed at first with screaming guitars and dominating drums, it by no means lacks intensity, in fact it is filled with it, so much to the point where it seems it will explode. The music does just that at about four minutes in when the band kicks it into highest gear. The many notes of the many instruments resonate into each other in a raw masterpiece of calculated experimentation that really makes you wish you’d been there. There are those live performances that will bring you to your knees. You know the ones, someone sits down at a piano, says a few words then plays a beautiful rendition of a ballad you always loved but will now love even more than ever. They may be playing just simple chords, but it doesn’t matter because in the moment, all things are beautiful. Although this is not entirely the case with “Moi-léger”, it begins and ends in such a fashion as Louis-Jean Cormier alongside François Lafontaine deliver a magical performance. Building upon each beat, “Le compteur” from Le volume de vent is transforming as it invites you to close your eyes and be brought somewhere else. This is Karkwa at their best, traveling seamlessly between passages of craziness and passages of simplicity. You don’t need to understand the French words to feel the music. “Le bon sens” is a bass-driven tune that is made ten times better in this live take. The slight echo and singing by the crowd add the minimalist approach the band took in this performance at the beginning of the song. 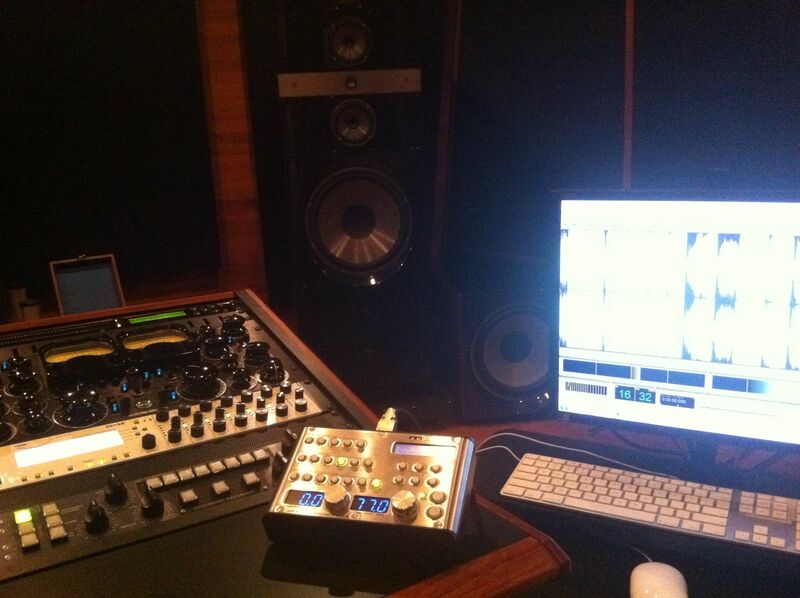 Of course, the dirty and deep feel is used to its fullest as distortion and even more bass are added. This is definitely a record highlight. The vocal harmonies used throughout Karkwa’s music are really showcased in “L”acouphène”, the perfect follower to the blues of “Le bon sens”. Slightly different from the album version, it leads nicely into a crowd favourite, “Marie tu pleures”. Even after having heard the majority of the record, this performance impressed me still. Electrified and energized, it personifies the experience of live music, the feeling of being on the edge and basking in all its glory. “Le coup d’état” from Les tremblements s’immobilisent testifies once again to that feeling of being on the edgee as well, its entirety being spent on the verge of chaos. “Oublie pas” is truly a beautiful rock song, Heartfelt and with meaning, though it sounds similar to other songs of theirs, it has emotion unrivalled by any other. Nearing the end of the record, “La façade” is another driving tune with melodic synths. 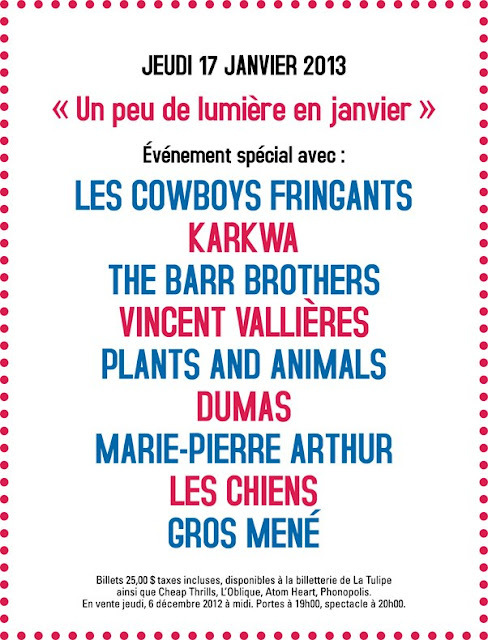 Finally, Karkwa Live ends with “Le vrai bonheur”. As the crowd recognizes the chords of this epic song, my doubts on using it as a closer were dissolved. It does what every ending song at a live show is aimed to do – make the audience lose all inhibitions and thank god that they’re alive. 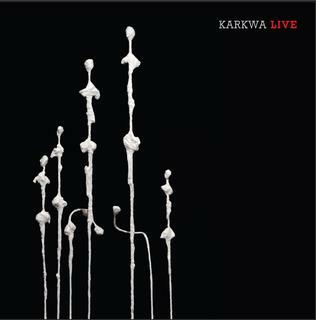 Upon the announcement of this live album came the news that Karkwa would be on an official hiatus. Although very bittersweet for fans especially given that the band’s last album was their most successful, this Karkwa Live is a wonderful gift, to those who’ve been with the band since 1998 and to those who’ve just discovered their talent. Just as it began, it ends. I can sum the album up by saying just this – you know a live record is special when you find yourself, eyes closed, cheering with the crowd, and singing along to words you don’t know with both your voice and your mind. C'est, comme l'indique le titre, un album live de Karkwa, soit 13 chansons enregistrées à l'automne 2011 à l'Impérial de Québec et au Métropolis de Montréal. C'est une sorte de cadeau d'au revoir au moment où le groupe entre en sabbatique pour une période indéterminée. Mais c'est aussi un peu une compilation, puisqu'on y retrouve des morceaux issus des trois albums que la formation a fait paraître depuis 2005, et particulièrement le célébré Les chemins de verre, de 2010. C'est d'abord pour les inconditionnels du groupe, comme tout album enregistré en concert. Mais comme c'est également une compilation, les néophytes aussi peuvent y trouver leur compte. Les spectacles sont une sorte de laboratoire où Karkwa aime expérimenter sans toutefois trop s'éloigner des versions originales de ses chansons. 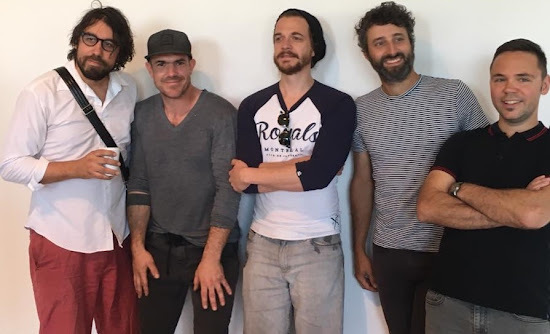 Cet album concert se veut un polaroid fidèle de ce que le groupe arrive à donner sur scène, un disque qui, malgré ce côté cru et authentique que le groupe n'a pas cherché à masquer – erreurs et fausses notes incluses –, nous permet de bien analyser la qualité d'un spectacle de Karkwa, d'être épaté par la puissance du quintette et de saisir toute sa rigueur, son raffinement et sa subtilité.